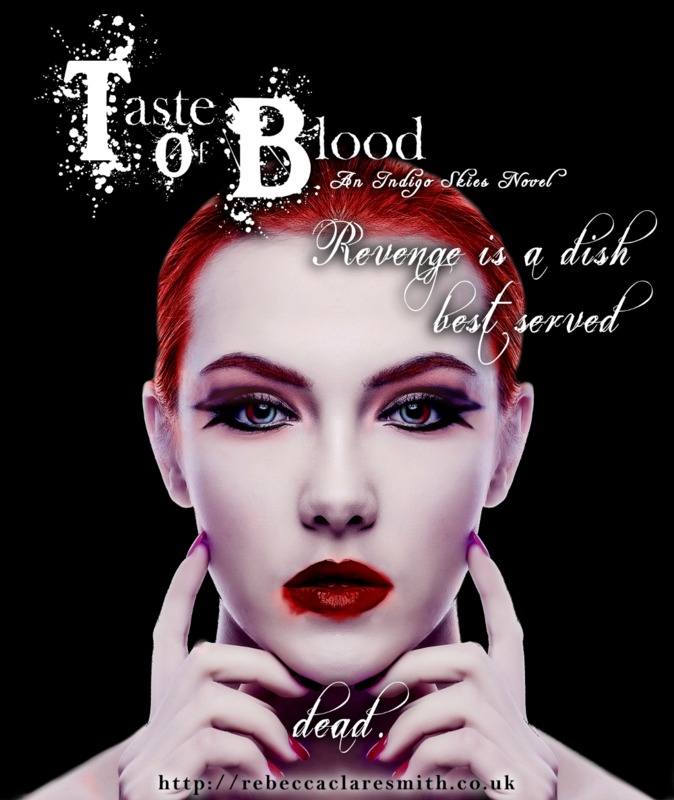 Today marks the arrival of Taste Of Blood, the fifth instalment of the Indigo Skies series. It’s a dark fantasy adventure with vampires and time travel in the mix. And if that isn’t a good enough reason to grab it? It’s On A Cheap Introductory Price! Yep. 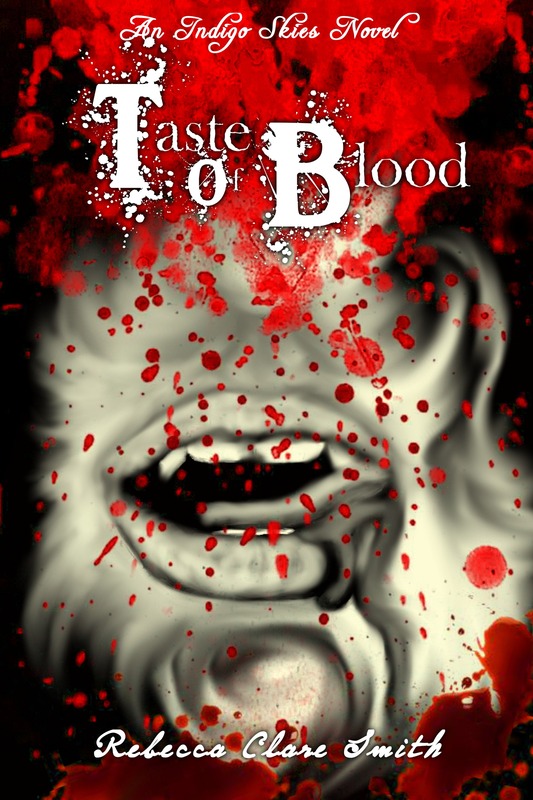 If you buy Taste Of Blood as an ebook in the first few weeks of its release, you’ll get it cheaper at an introductory rate. After a few weeks, it’ll go back up to what will be its regular price. So strike whilst the iron’s hot! Violet Eonsen is a private investigator in the not so far future where the human race has evolved into various supernatural types. Unlucky for her, she’s part mage and part necromancer, which means she can see and speak to the dead. If she hadn’t wanted Violet dead before, then she does now. After the events of Lightning & Power, Lia is determined to rechannel time to her own tune. And if that means ending a few lives in the process, then what does this vampire care? Lia cackled in derision at the space where Simon had vanished. My mouth contorted, skewed in ghoulish recognition of the new horror that had befallen us. She rounded on me, my gun, the gun Simon had been holding, clasped in her hands. She must have caught it when I’d knocked him off his feet. F***. Then she smirked and dived through the portal before I had a chance to stop her, her body disappearing into the whirling, voluminous blue. With my gun. My heart sped up. Panic set in. The machine was making a noise, warning it was going to shut down. It had transported two people, already. Could it support transporting one more? Red lights started flashing on the console. My wide eyes snapped from the portal to the door. A lump formed in my throat. What if there was no way back? Gritting my teeth, I launched myself into the portal and closed my eyes. Wrenched from her comfort zone & flung into the past, supernatural being & private investigator Violet Eonsen must catch a vampire hellbent on revenge before the present is erased for good. Trying to keep the timeline untouched is one thing, but dealing with an up spike in her supernatural abilities is another. Bursts of magic & uncontrollable reactions to death aren’t easy to hide. Can she keep both in check whilst under Simon’s watchful eye & still foil the villain? Dragged along for yet another adventure he never wanted, Simon is fighting not only to keep his present intact, but to make sure crazed vampire Lia doesn’t murder his past self. Maybe then he can choose his own path in time. Can the duo defeat Lia once more? Or is this case more than they both bargained for? Capture the Indigo Skies world by snapping up all five books today! You got it! 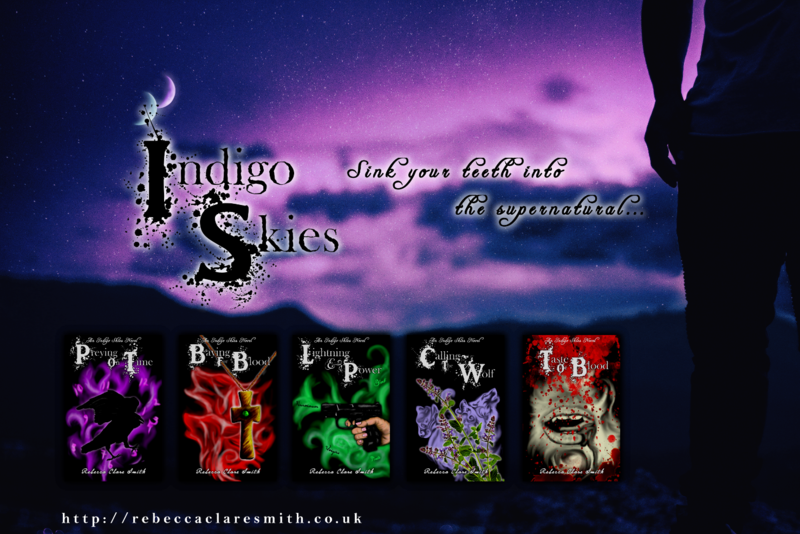 There are four more juicy books in the Indigo Skies series, so grab them all, curl up in your favourite reading nook and dissolve into the Indigo Skies world! Amazon, Barnes & Noble, Scribd, Apple iBooks & tonnes more. 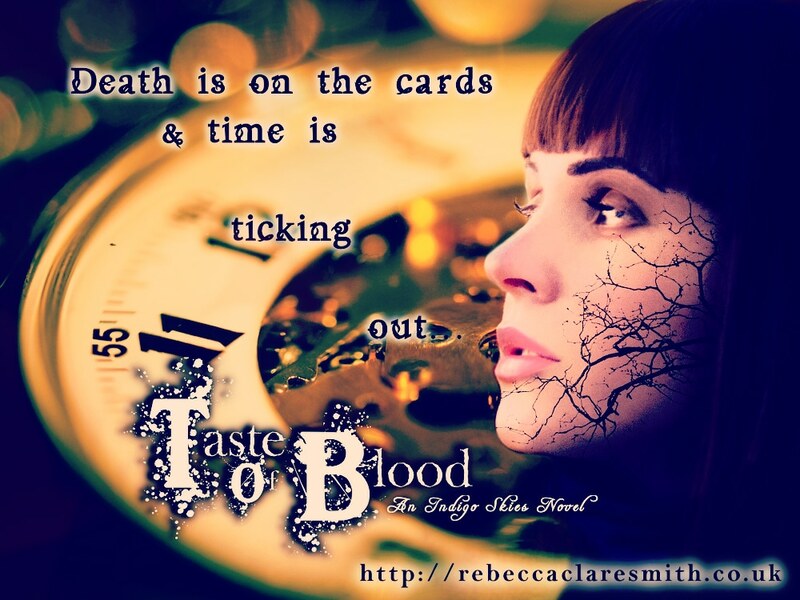 Just check out the Taste Of Blood page for more details! The First Book Is Cheap, Cheap, Cheap! That’s right! 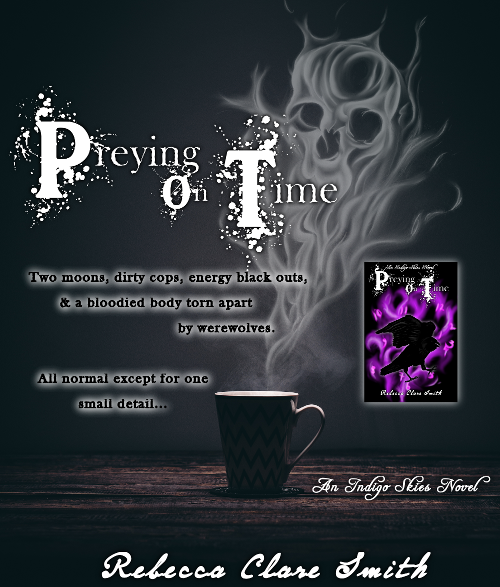 The first book in the Indigo Skies series, Preying On Time, is marked at a super special price of £0.99/$0.99/€0.99 in ebook for a short time only! My first ever published book and the first in the series, you don’t have to start with Preying On Time, but at this knock down price, what could possibly stop you? 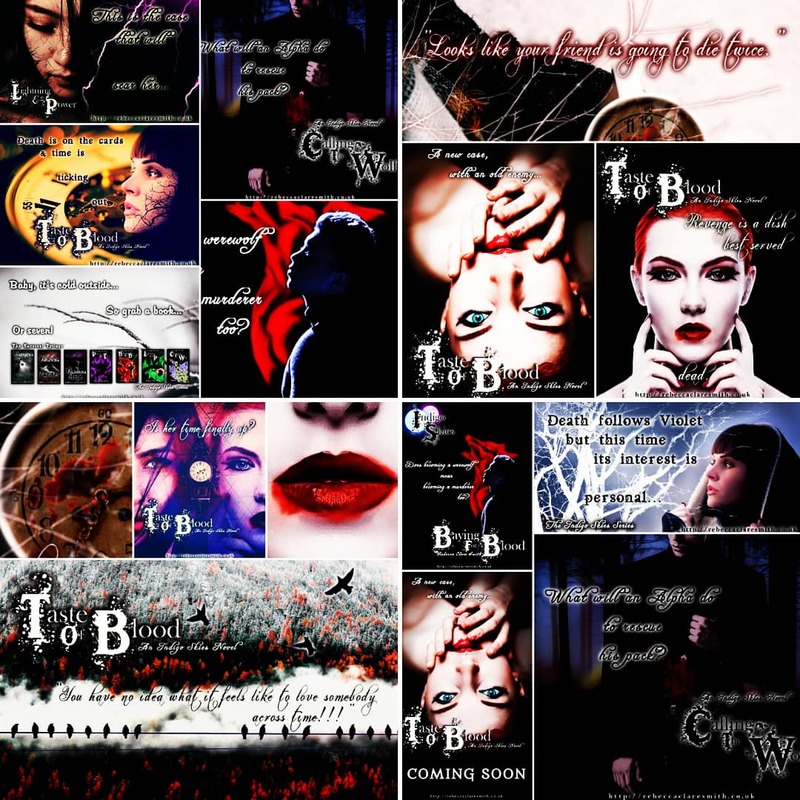 I’m not going to say I don’t want you to read them, but, in order to enjoy and understand what’s going on in Taste Of Blood, you don’t have to read them. Then why not read Chapter One, Chapter Two, Chapter Three AND Chapter Four all free of charge here on the blog?